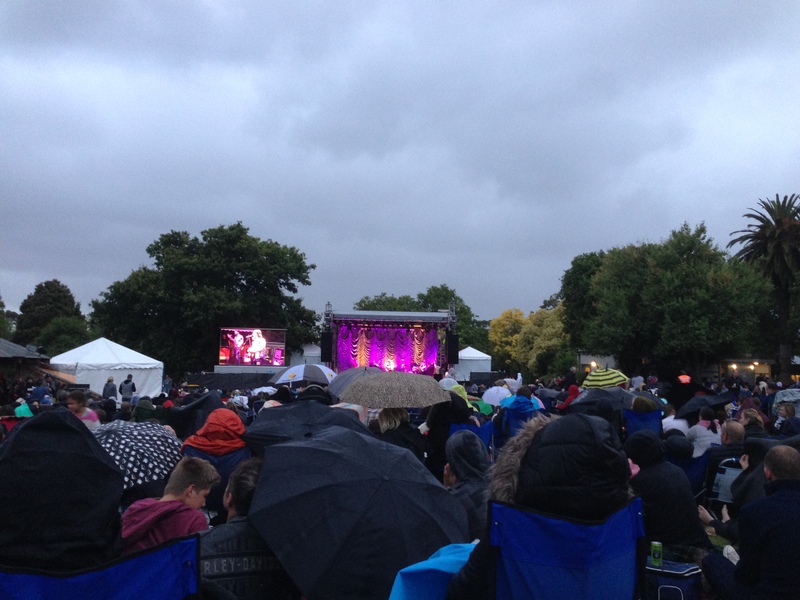 Last month Craig and I and a few friends, went to one of the twilight concerts that are held at the Melbourne Zoo, lovingly known as Zoo twilights! They are held on the lawns near the rotunda closer to the rear entrance. On this occasion we saw Bernard Fanning, there are various others playing over the summer season on selected dates including James Reyne, Sarah Blasko, Paul Kelly, Spiderbait, Village People & The Cat Empire. The gates for Zoo twilights open at 5.30pm and if you are zoo members (which we are!) you have priority when entering. I didn’t know this at the time and we arrived much later than this. The queues to get in were quite long but we got there closer to 6.30pm and we walked straight in the back entrance. Concert goers are encouraged to take a picnic and rug and sit on the ground and watch the concert. I have a small fold out beach chair that is low to the ground and I took that, which is so handy as you are not sitting directly on the ground. You are able to bring as much food as you like but you are unable to BYO alcohol. The price of drinks was what you would expect at events in Australia these days with a can of beer costing $8. We were drinking Mountain Goat which is a craft beer brewed by a couple of Melbourne fella’s. I hadn’t heard of this beer before and really enjoyed it, very similar to a 150Lashes by James Squire, which happens to be one of my favourite beers at the minute! Yes we all know, I am a little bit bogan! Just before the rain started! The opening act was Little May and it was the first time I had heard of them. They played for the first hour and the crowd seemed to enjoy them.I was not overwhelmed by them but it doesnt help when you have never heard their music before. 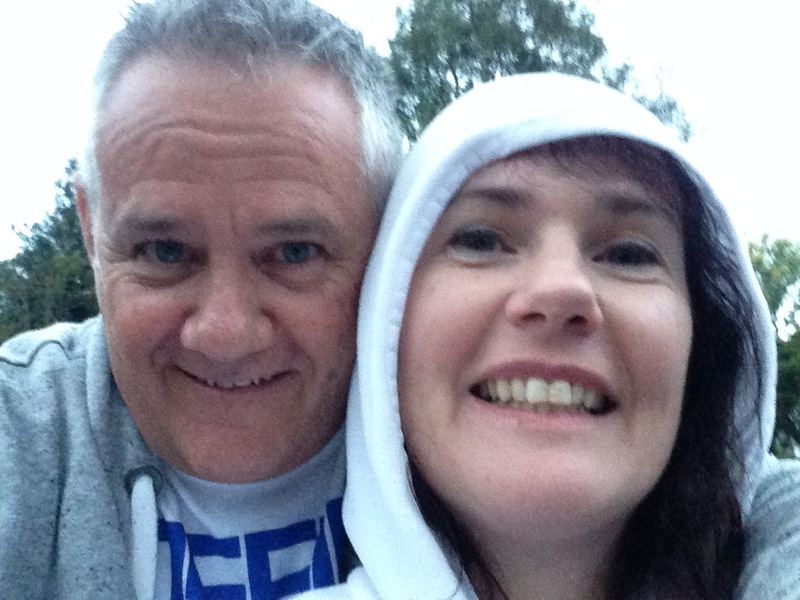 January was uncharacteristically cool in Melbourne this year and it would be fair to say it was cold! Melbourne is well known for its 4 season in one day weather. It can be raining and cool in the morning and by the end of the day it could be 35 degrees! Melbournians have mastered the art of layers so that we are prepared for all forms of weather Melbourne can throw at us! Just before the bands started you could hear the lions roaring from their enclosures that are also at the rear of the zoo. It must have been feeding time or close to it. Some people arrived early and put down their blankets and then went for a walk around the zoo. Melbourne Zoo has had some recent upgrading which I havent checked out yet but I believe the lion enclosure has had a much needed revamp. The orangutan, elephant and seal enclosure have had substantial upgrades over the last few years so I am sure the lions will be great also. The main show started at 7.30pm which is dusk at this time of year as we have daylight saving. Bernard Fanning came out to a cheering crowd. He opened with Songbird which really got the crowd going. Most people were great and remained seated so the people behind them could see. There was a mosh pit at the front for those that wanted to be a bit more active. I was very happy to sit on our rug and watch whilst drinking my beer and eating brie and crackers! The main act is on! Fanning played some of his solo music and a couple of tracks from his Powderfinger days which was a great mix. 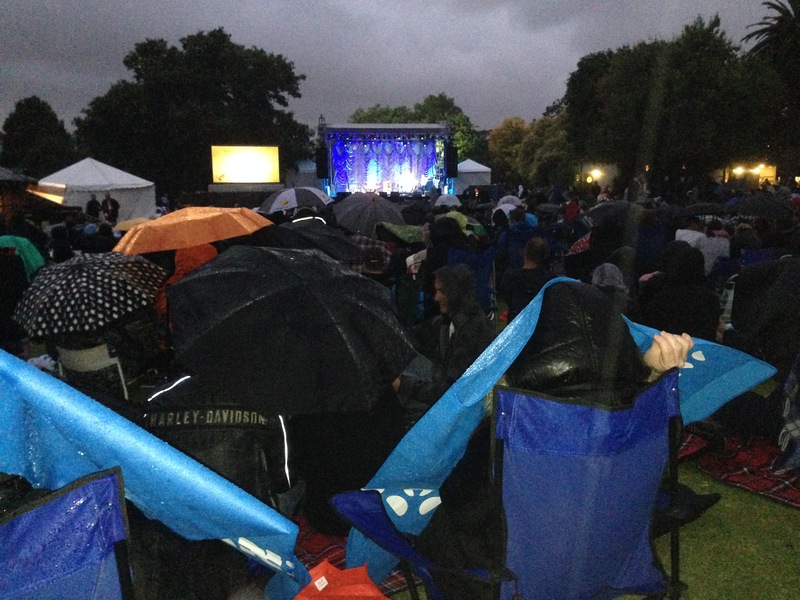 Melbourne was true to form and about half way through the show there were a few spots of rain. I was hoping for a passing light shower but it had a bit more than that in it. The rain was constant for the rest of the evening, enough rain to be a pain and soak through your jeans which is never comfortable! The smart people had bought an umbrella, I was not one of those people but I was happy enough with my hoodie that kept the rain off my hair which makes a big difference warmth wise. The umbrellas did however, block the view for the rest of us closer to the back. Then it got a bit heavier and didn’t go away! The weather did put a bit of a dampener on the night (excuse the pun) but you can’t forecast the weather when you purcahse tickets 4 months in advance. Most of the major acts were sold out in a few hours so I was lucky enough to get tickets at all. The tickets were $70AUD which some might think is a bit steep for a 2 hour show. As said earlier, we are Zoos Victoria members and therefore our tickets were only $54AUD so that is much more reasonable and certainly better value for money. Would I go again? For sure! I didnt realise that The Cat Empire was playing as I would have been interested in going to that too, but as expected it was sold out. Have you been to Zoo Twilights at Melbourne Zoo, if so, did you enjoy it and who did you see? You can leave your comments below and while your there pop your details in the subscription box to receive regular updates on what we are up to with our 3 kids. If you are visiting Melbourne for a weekend or more check out my top free things to do in Melbourne, or Melbourne walks for things to do outside. For the adventurous peeps out there how about Skydive Great Ocean Road about an hour from Melbourne in Barwon Heads!